Fany Gerson, the proprietor of Dough and La Newyorkina, has started to roll out some brand-new sweets. 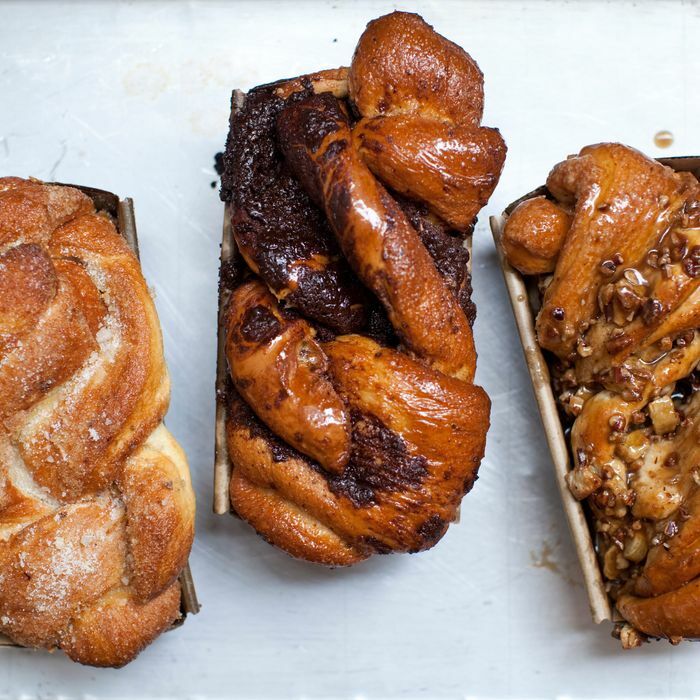 At the Flatiron location of Dough, she’s selling “Doughkas” — babka loaves with a doughnut-dough base, which get rolled, cut, braided, and baked. 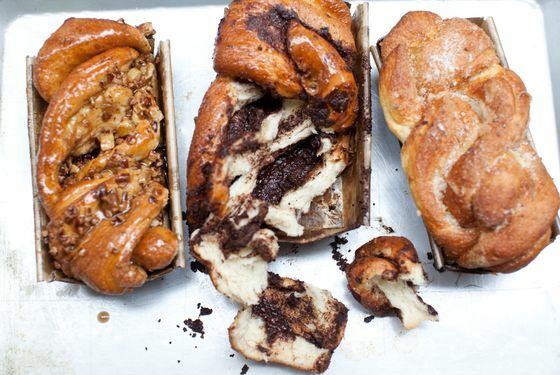 There are three flavors: Mexican chocolate, filled with a bittersweet-chocolate spread, and dusted with Mexican cinnamon-sugar and Mexican chocolate; Lemon & Olive Oil, studded with candied lemon, rolled in lemon sugar, and brushed with olive oil and a touch of salt; and Sticky Banana, which is a sticky-bun-meets-babka situation stuffed with cinnamon, toasted pecans, and a sticky frosting. Gerson, who’s both Mexican and Jewish, says that her heritage inspired her to create a mash-up dessert. These $10 loaves will only be available starting at noon on Fridays, Saturdays, and Sundays in limited numbers, but they can be ordered in advance. Only the chocolate variety will be in stock this weekend, with all three flavors to follow starting on February 13. And that’s not all for Gerson: She’s waiting on a piece of equipment so that she can introduce her much-anticipated cake doughnuts and churros. She’s also going to roll out her doughnut dough to make savory and sweet pizzettas, using fresh fruits and vegetables from the Greenmarket. They’ll soon be available at lunchtime on weekdays. 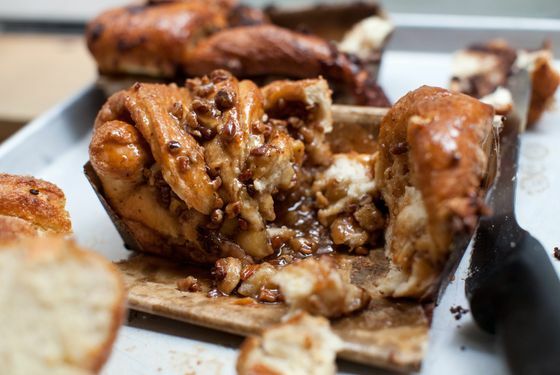 Here’s Babka Made With Doughnut Dough!